Imagine a maximum security prison that is owned and run by a crime syndicate. Due to open in the next day or two, they decide this would be a great time to take care of their enemies. This criminal organization has a list of people, 100 of them, that it would like to see eliminated. What better way of doing so than placing them in the empty prison and dumping tons of ammo and weapons in their laps. Plus, there is a prize of $10 million dollars for the final three survivors. 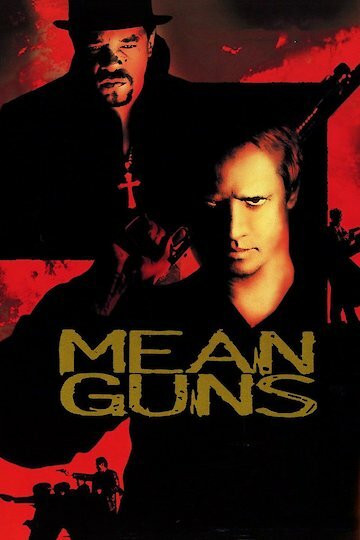 Mean Guns is currently available to watch and stream, download, buy on demand at Amazon Prime, Amazon, Vudu, Google Play, iTunes, YouTube VOD online.